Review: Veteran filmmaker Marco Bellocchio has always been relegated to a second plan, although he had presented us with some good films in the past, which were the cases of “Fists In The Pocket”, “Good Morning, Night”, “My Mother’s Smile” or “Vincere”. All of them, in one way or another, evinced political, social, religious or moral considerations. 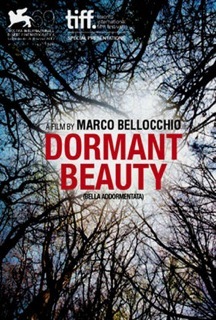 “Dormant Beauty” mixes all these aspects to deal with death, including the sensitive matter of euthanasia, but failed to surprise. The film sought inspiration in the real case of Eluana Englaro, an Italian woman who won the right to die after being 17 years in a vegetative state, to depict three different stories concerning the legitimacy of putting an end to a human life. Bellocchio shows in a taciturn way, how painful this can be for those who lost the joy of living, as well as for the people around them. Unstable and unemotional, "Dormant Beauty" counts with good performances but doesn't add anything relevant to the matters in question.